No part of this information is a substitute for legal advice. If you have questions or believe you have a legal case under Hawaii Landlord Tenant Law, you should contact an attorney. The information provided below is for reference purposes only. Stay up to date on Hawaii Landlord Tenant Laws + Save money on tenant screening and other property management needs. Join AAOA today, it’s FREE! Security Deposit Maximum: Pursuant to §521-44(b), no more than one month’s rent, plus a pet deposit is allowed. Pet deposit only applies to applicants if pets are allowed and the tenant has a pet. Require Itemized List/Written Description of Damages and Charges: An itemized list or description of damages and charges is required unless it is proven that the tenant wrongfully quit or vacated the premises without informing the landlord in writing. The landlord shall provide the tenant a written account for any withholdings along with evidence to support the total of all costs to remedy damages caused by the tenant. This includes estimates or invoices of any materials or services, the cost of cleaning and the receipts of supplies and equipment and any charges brought on by the cleaning services pursuant to §521-44(c). Failure to Comply: Failure on behalf of the landlord to comply with their obligation to provide the tenant with a written notice of withholdings or any other required information within the 14 day period after termination can result in the landlord forfeiting any portion of the tenant’s security deposit. If this occurs, the landlord must return the entire security deposit to the tenant. Either the landlord or the tenant may sue the other party in small claims court for damages plus the cost of the suit, if any disagreement over the retention of the security deposits persists, according to §521-44(c)(g) and (h). Rent is Due: Unless another date has been agreed upon by both landlord and tenant, the rent is due at the beginning of each month pursuant to §521-21(b). Rent Increase Notice: 45 days written notice prior to the effective date of the increase is required for month-to month leases, while lease agreements that cover a shorter time period require 15 days written notice must be given prior to the effective date of the increase pursuant to §521-21(d)(e). Rent Grace Period: No statute available per the Handbook pg. 26. Late Fees: Late fees are allowed, but there is no statute to support a set amount pursuant to the Handbook pg. 4. Prepaid Rent: At the beginning of a lease, the landlord may not require payment beyond the allowed first month’s rent and deposits. The security deposit shall not, in full or in part, be considered as payment for the last month’s rent, unless it has been agreed upon by both parties and the tenant also provides the landlord with written 45 day notice prior to moving out. The landlord cannot demand a postdated check to be used for any payment of rent, in full or in part, pursuant to §521-44(b)(2) and (e). Tenant Allowed to Withhold Rent for Failure to Provide Essential Services or Habitability: Yes, this is allowed as long as the tenant follows the process outlined by §521-78. Tenant Allowed to Repair and Deduct Rent: Yes, but only if the landlord does not remedy conditions after one week following written notification by the health department or other agency of a health or safety violation, the tenant may immediately do the repairs or pay to have the work done, submit receipts to the landlord and deduct the costs of repairs from the rent. The total must not exceed $500 pursuant to §521-64. Landlord Allowed to Recover Court and Attorney’s Fees: Yes. Pursuant to §521-35, according to the lease agreement, the landlord may collect as payment from the tenant the costs of the law suit, any unpaid rent and reasonable attorney’s fees not more than 25 percent of the total of the unpaid rent. All rent accrued during the period that would be reasonably necessary to re-rent the unit between such fair rent and the rent agreed to in the rental agreement as well as a reasonable commission for the landlord having to re-rent the unit. Notice to Terminate Tenancy – Fixed End Date in Lease: According to the Handbook pg.3, the termination of the lease is automatic, so no notice is required. Immediate Termination of Tenancy: Immediate termination of tenancy is allowed if the tenant knowingly causes or threatens to cause damage to the unit, any person on the premises or commits any blatant violation of the lease agreement or the law pursuant to the following §521-51(1) or (6), §521-52, §521-70(c) or §521-72. Notice of Termination of All Other Leases for Nonpayment: Tenant has 5 days to remedy the situation or quit the lease §521-68. Notice of Termination Due to Condo Conversion: If the landlord chooses to convert rental properties from units to condominiums under chapters §514A or §514B, he or she must provide written notice to the tenant at least 120 days or 6 months prior to the termination of the lease or rental agreement pursuant to §521-38. Termination of Lease Violation: The tenant has 10 days to remedy the situation or quit the lease agreement. The landlord must wait an additional 20 days before beginning eviction proceedings pursuant to §521-72. Notice to Terminate for Nuisances: The landlord must give 5 days notice, but the tenant has 24 hours to remedy the situation according to §666-3. The tenant has the right to terminate the rental agreement and move out of the unit at any time during the first 7 days of occupancy if the landlord fails to conform to the rental agreement or fails in any way to supply and maintain a habitable dwelling in compliance with §521-42(a). The tenant shall also retain the right to terminate beyond the first week of tenancy if the tenant remains in possession based on an oral or written promise by the landlord to correct the noncompliance which would justify termination by the tenant pursuant to §521-62. Required Notice Before Entry: The landlord is required to give two days notice and entry is allowed only at reasonable times pursuant to §521-53(b). Entry Allowed with Notice for Maintenance and Repairs (non-emergency): Yes in accordance with §521-53(a). Entry Allowed with Notice for Showings: Yes in accordance with §521-53(a). Emergency Entry Allowed Without Notice: Yes in accordance with §521-53(b). Entry Allowed During Tenant’s Extended Absence: If the tenant is absent for an extended period of time, the landlord may enter the unit as reasonably necessary for purposes of inspection, maintenance and general safe-keeping or for any other purposes permitted by §521-53(a) or §521-70(b). Notice Required of Extended Tenant Absence: Landlord can request in the rental agreement that the tenant provide notification an any extended absence from the premises no later than the first day of such an absence pursuant to §521-54. Tenant’s Responsibility to Inform Landlord: The tenant must report to the landlord any defective condition within the unit as soon as it appears. Conditions must be reported whether or not it is known if the landlord is aware of them, and especially if it is believed to be the landlords’ or another tenants’ duty to repair according to §521-55. Lockouts Allowed: Lockouts are not allowed and are punishable by two month’s rent or free occupancy of the unit pursuant to §521-63(c). Utility Shut-offs Allowed: Shut offs are not allowed and are punishable by two month’s rent or free occupancy of the dwelling pursuant to §521-63(c). Name and Addresses: The landlord or landlord’s agent must provide the tenant with the name and address of anyone who is authorized to manage the premises in addition to the name and address of each owner or any person who is authorized to act on their behalf for purposes of service of process and for receiving rent, notices and demands pursuant to §521-43(a)(b). Copy of the Lease: The landlord shall provide a copy of the lease or rental agreement to the tenant according to §521-43(d). Domestic Violence Situations: There is no statute concerning domestic violence. Trash: Except for single family dwellings, landlords must provide and maintain the necessary receptacles and conveniences for the removal of normal amounts of garbage. Water: Except for single-family dwellings or where the building is not required by law to be equipped for the purpose, the landlord must provide for the supply of running water as reasonably required by the tenants. Compliance: Comply with and abide by all applicable building and housing laws that affect health and safety. Compliance with House Rules: The tenant agrees to comply with all obligations, restrictions and rules in accordance with §521-52 and which landlord can demonstrate are necessary to preserve the property and protect the landlord, tenants or any other persons on the property. The landlord must make reasonable efforts to notify the tenant of their intent to sell or donate the personal property left behind. This can be accomplished by mailing a notice to the tenant’s forwarding address or to any other address provided by the tenant. or as a last resort to the tenant’s previous known address. 15 days after the notice is received by the tenant, the landlord may sell the property after advertising the sale in a daily paper of general circulation within the area where the premises is located for at least three consecutive days. At that time the landlord can also choose to donate the items. The proceeds of the sale, minus any deduction of accrued rent, storage costs, sale and advertising must be held in trust for the tenant for 30 days. At that time the proceeds are forfeited to the landlord. If the tenant has quit the premises, any property left behind, unsold or abandoned by the tenant and with no apparent value can be disposed of by the landlord without incurring any liability. Subleasing: Subleasing is allowed, unless otherwise stated in the lease. The lease may also include the tenant’s right to sublet is also subject to the consent of the landlord according to §521-37. Retaliation: The landlord cannot terminate or refuse to renew a lease to a tenant who has filed an official complaint to a Government authority as part of their legal rights. Read §521-74 for more information. Lead Disclosure: Landlords must disclose all known lead paint hazards. Landlords must also provide tenants an information pamphlet that is considered to be an attachment to the original lease. Business License Required: There is no statewide statute requiring landlords to have a business license, but local cities and counties may have regulations saying otherwise. Check with local authorities about the requirements in your area. A key component of landlord tenant laws is also Hawaii Tenant Screening Background Checks. We’ve dedicated an entire page to it because of its importance. Visit Hawaii Tenant Screening Background Checks to screen your tenant. All states require a variety of forms to rent an apartment to a tenant and Hawaii is no exception. Check out American Apartment Owners Association’s Hawaii Landlord Forms now. 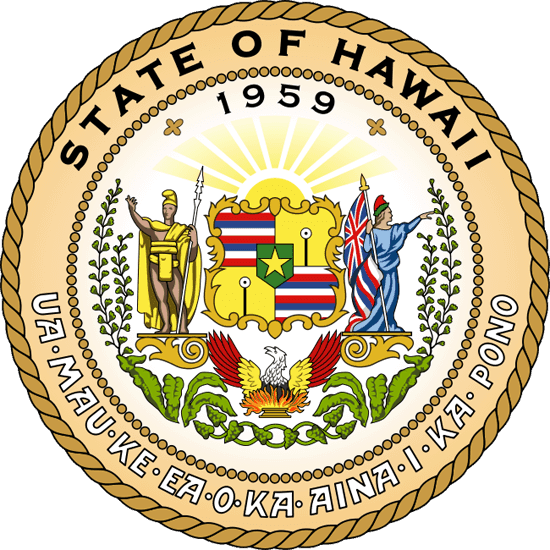 Looking for landlord tenant laws outside of Hawaii? The American Apartment Owners Association offers helpful landlord tenant laws for all 50 states. Click on any of the states listed below and go directly to its landlord tenant law page. To visit the homepage of landlord tenant laws, click here.